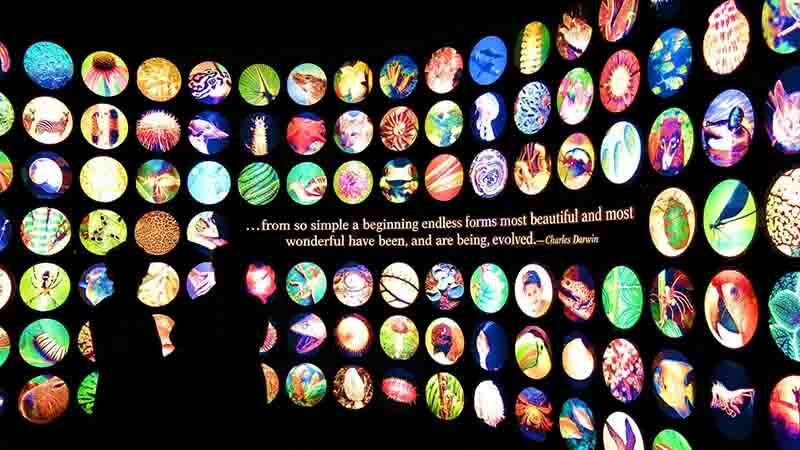 After billions of years of life on this planet an amazing plethora of organisms evolved, described by Charles Darwin as: “endless forms most beautiful and most wonderful.” My research aims to elucidate how this variation in form is reflected in the genomes of diverse organisms. I have a particular interest in the evolutionary forces that shape co-evolving genomes in systems where genomes are physically close, such as endosymbiont/nuclear genomes and mutualist/host genomes. Researchers use the phrase “anything goes” when referring to the surprising increase of evolutionary plasticity in mitochondrial DNA across land plant evolution. As opposed to animals in which the mitochondrial DNA is usually very conserved and small in size, plants can have a plethora of uniquely evolved genomic features leading to highly complex structures reflected by large size, multiple chromosomes, and frequent recombination (Knoop et al. 2011). During evolution, these structures can frequently shift as documented for the order of Brassicales (Grewe et al. 2014). In addition to these unique genomic features, mitochondrial transcripts also require complex features such as trans-splicing and organelle specific RNA editing (Grewe et al. 2012). Most peculiar features in the mitochondrial genome appear to be gains during land plant evolution. 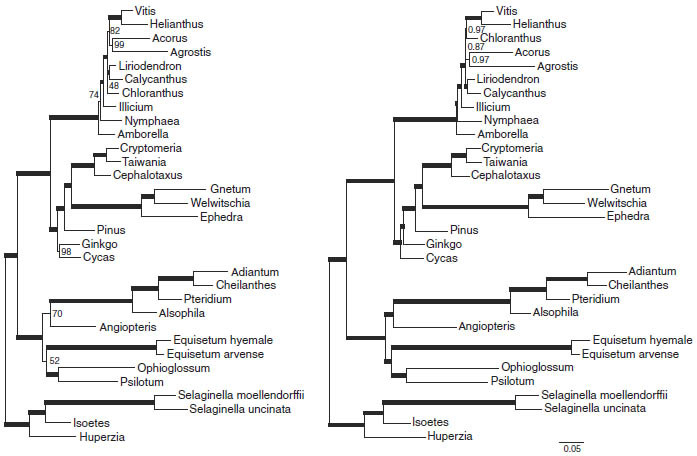 Since these features are absent or less prominent in algae or bryophytes, it is of a particular interest to sequence mitochondrial genomes of early branching vascular plants (such as lycophytes and ferns) to increase our understanding of the emergence and evolution of these features. 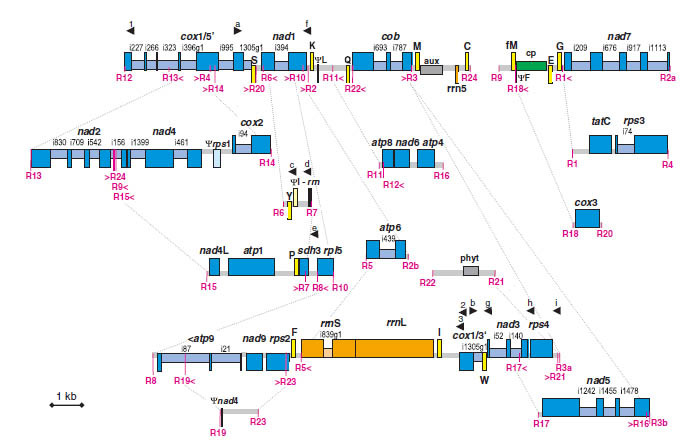 One surprising result we found by sequencing the mitochondrial genomes of two lycophytes was that these two genomes have been subject to exceptional recombination rates resulting in massive rearrangements. To counteract this genomic-wide recombination and to maintain genome function, new features like a novel trans-splicing intron evolved (Grewe et al. 2009; Hecht et al. 2011). Today, a complete fern mitochondrial genome is still missing and only one gymnosperm mitochondrial genome is available. I am using next-generation sequencing techniques to fill this phylogenetic gap and to enrich our knowledge about the unique pathways of mitochondrial genome evolution in early diverging land plants. Whereas we encounter high structural complexity in the mitochondrial genomes of land plants, their nucleotide substitution rates are generally very low. 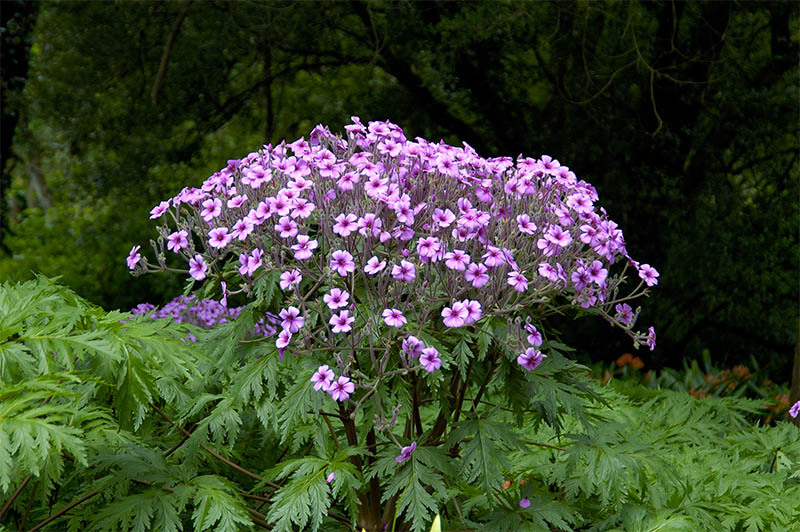 However, sequences from taxa of the Geranium family indicate a completely contradictory picture. An exceptional increase in substitution rates co-occurs with a dramatic loss of genome complexity and mitochondrial genes. In addition, the genomes have increased to exceptional sizes. The remaining genes on the mitochondrial genome have highly reduced intron content and have lost most of their RNA editing positions. In the genus Geranium, we have observed that mitochondrial genomes also host multiple horizontally acquired foreign gene regions of organellar DNA from diverse eudicots (Park et al. 2015). These unique evolutionary trends of mitochondrial DNA in the Geranium family offer a great resource to study the cyto-nuclear interactions that shape the co-evolution of nuclear and mitochondrial genomes in land plants. In one interesting case, genome sequencing of Pelargonium in the Geranium family revealed that the usually mitochondrial encoded maturase gene matR, which is predicted to encode for a mitochondrial splicing factor, was translocated to the nuclear genome in Pelargonium. As no transformation methods for mtDNA are established yet, the exceptional placement of matR in Pelargonium provides a unique opportunity for the first knock-out/down studies to ultimately decipher the functions of this exceptional gene. I am conducting these studies in collaboration with Dr. Oren Ostersetzer-Biran and his student Laure Sultan at the University of Jerusalem. Lichens are composite organisms of fungi and algae or cyanobacteria (or both) living in a mutually beneficial relationship that occur across a wide range of environmental conditions. In my research, I am sequencing the genomes of lichenized fungi and their algal partners to elucidate how the genomes of intimately-related organisms co-evolve. With the world-wide distribution of lichens, I am also interested in determining the genetic and molecular basis of adaptive evolution in the lichen genome as a consequence of invasions into extreme habitats. 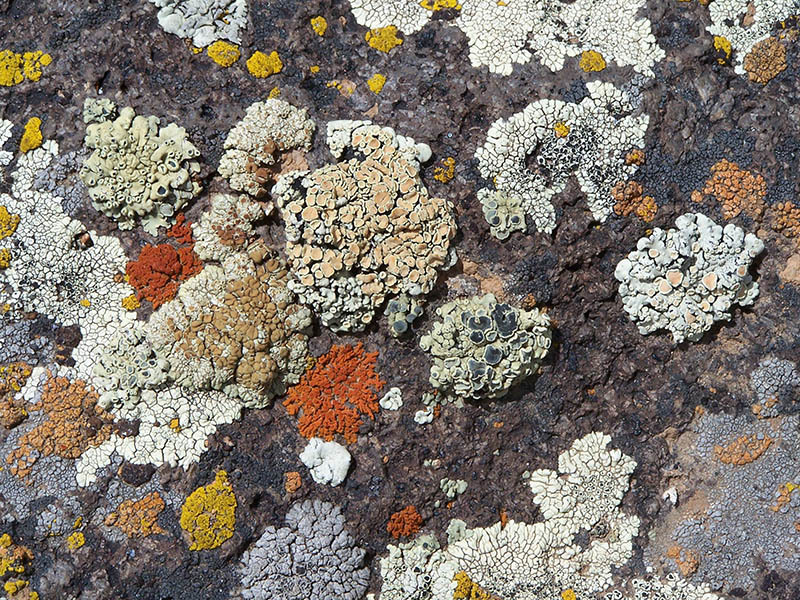 For these studies, I am working closely with the lichen experts at the Field Museum, Dr. Thorsten Lumbsch and Dr. Steven Leavitt. The amplification of data at the genome scale by next-generation sequencing provides additional opportunities for new molecular phylogenetic and phylogenomic studies. For example, with the sequencing of four fern chloroplast genomes we were able to reconstruct the structural evolution of chloroplast DNA during land plant evolution and created new phylogenies based on these sequences (Grewe et al. 2013). I am interested in continuing to use sequence data to answer remaining questions about the phylogeny of early branching land plants and lichenizing fungi. Only with the resolved phylogenies of these organisms will we be able to successfully trace the mysteries of their genome evolution.